The Council for Court Excellence is accepting nominations for the 2019 Justice Potter Stewart Award through Friday, October 19, 2018. CCE bestows the Justice Potter Stewart Award annually to recognize exemplary work that has contributed significantly to CCE's mission to enhance the justice system in the District of Columbia. Recipients may be individuals or institutions. 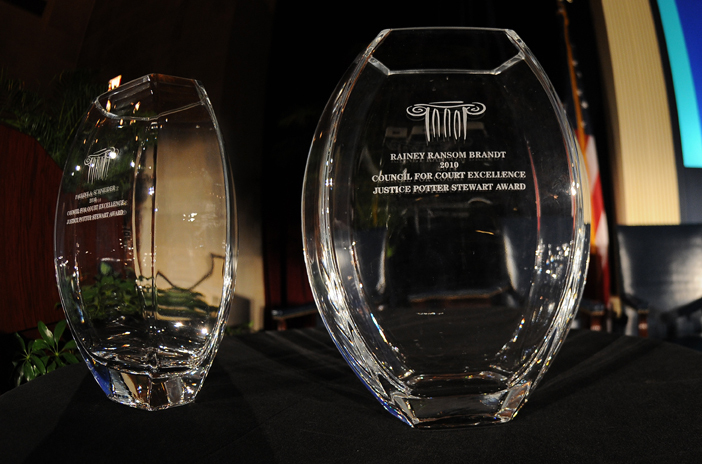 To view a list of previous recipients, please visit: www.courtexcellence.org/justice-potter-stewart-honorees. To submit a nomination, complete a brief online form. Alternatively, you may submit your nomination describing why your nominee should receive the Justice Potter Stewart Award and any supporting documentation by email. The canons of judicial ethics preclude a sitting judge from receiving the Justice Potter Stewart Award because CCE presents it at our annual fundraising dinner. With rare exceptions, current CCE board directors are also ineligible. The date and location of the 2019 Justice Potter Stewart Awards Dinner will be announced soon.